DesignCloud – Create unique designer wallpaper online. | Create unique designer wallpaper online. 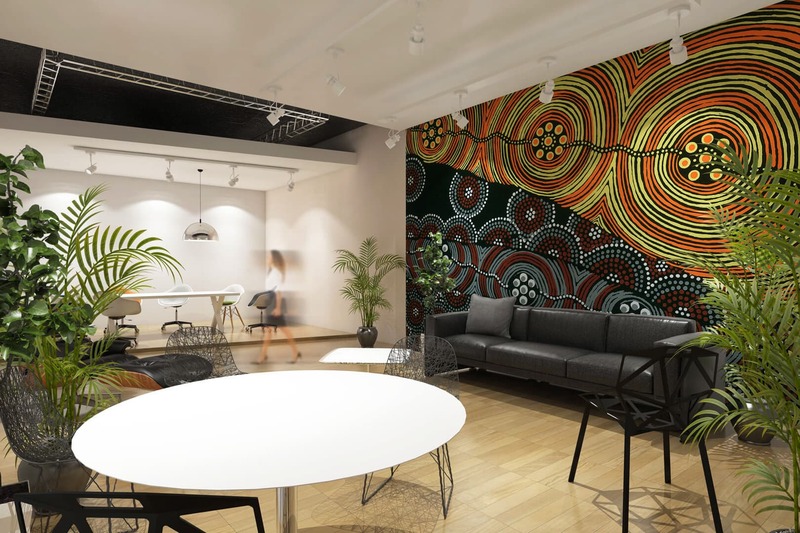 DesignCloud in partnership with indigenous artists, is taking indigenous art to a Global audience through the Wallpaper medium. Use our unique online design software to create your own custom wallpaper and have it printed on premium materials. Our team of professional designers are standing by, ready to assist you with installation of custom wallpaper in a commercial setting. Our teamn of professional designers are standing by, ready to assist you with installation of custom wallpaper in a commercial setting. DesignCloud is a premium provider of custom printed wallpaper. All our prints use the highest quality materials and can be shipped anywhere in the country. Create an impact in your home, office or public space with a custom designed feature wall from DesignCloud! Try our simple online tool to upload your own photos and design your very own DIY masterpiece! Prefer to leave the design to the experts? No problems. Our friendly team of expert designers and installers are on hand, ready to assist with your enquiry.